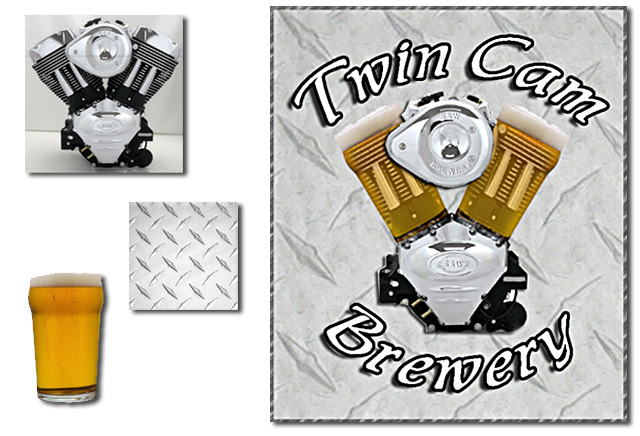 Design a label with beer glasses incorporated into given engine. I think diamond plate would look good as a background. Fun Picture Tangier Island Seafood Co.